When I was growing up, walnuts were a special treat. 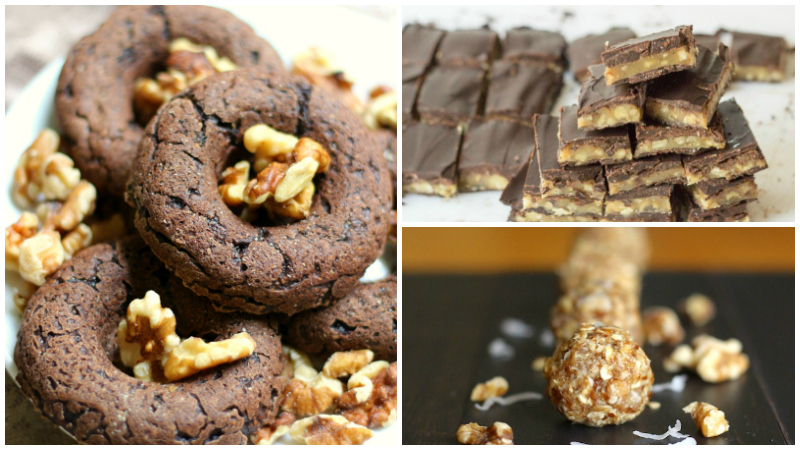 My mother used a handheld walnut grinder and then added them to cookies and brownies that I loved and to fruit cake that I did not love. I still have her antique grinder and like adding walnuts to desserts, but I also use them for snacking and add them to other recipes, as well. 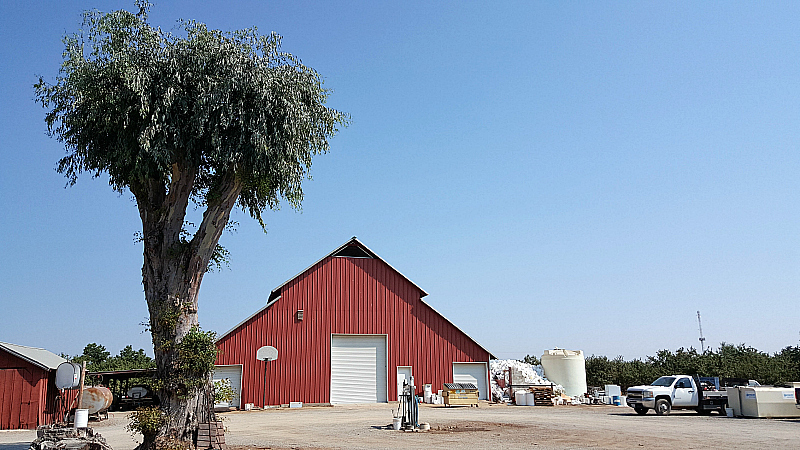 Wood Colony Nut Company is located in Modesto, California. 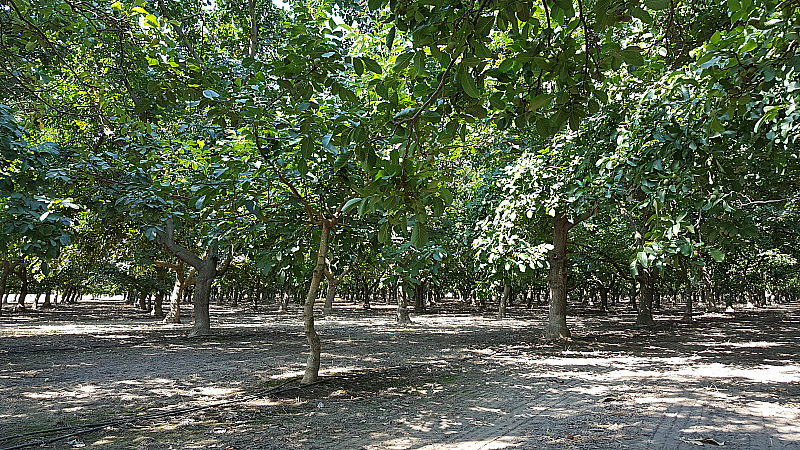 It’s one of the many family owned walnut farms in the fertile San Joaquin Valley. The California Farm Water Coalition arranged for me to tour the farm. 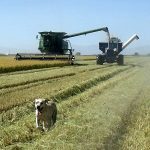 At a glance, it may look like farming is mainly manual labor, but farming takes a whole lot of brain power, too. 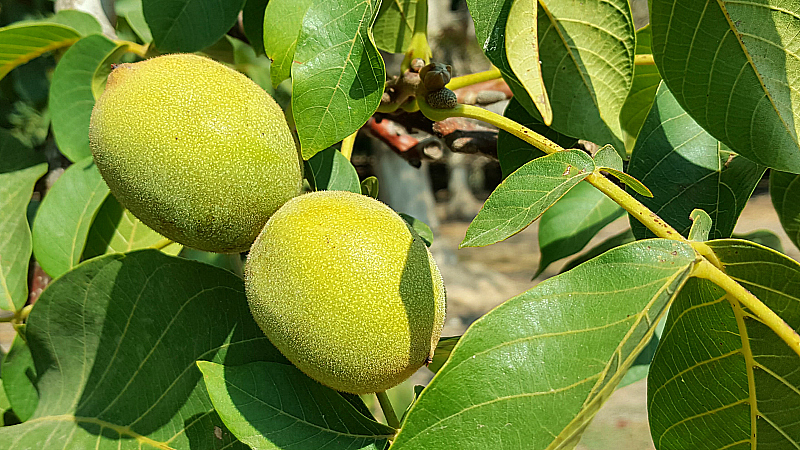 Scientific methods are used to make sure that walnut trees get the right amount of water at the right time and are kept disease free. There are water canals managed by the local water district that run along this orchard. There is also ground water below. Since California is just coming out of a drought, water management is on everyone’s mind. 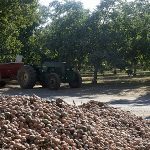 They need to use enough to produce walnuts and other food and are mindful of the bigger water issues. 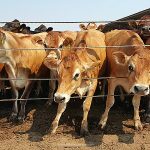 Since groundwater levels got low during the drought, another factor to consider is how to build that up again. The trees were looking healthy and were full of walnuts when I was there. It looks like it’s going to be a good year for walnuts. 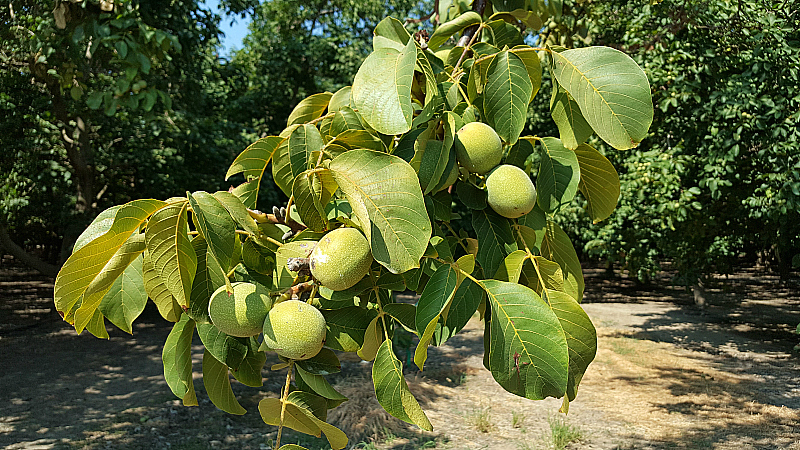 This farm grows a few different types of walnuts. Two of them are what we are accustomed to eating. There are also red walnuts that I’m told are extra buttery and delicious. They sure are pretty! 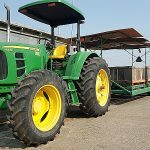 The farm tour was fun and informative. 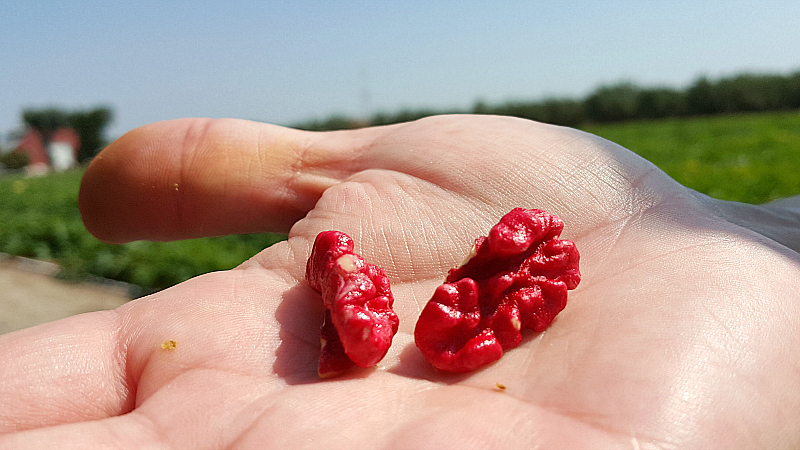 It takes a whole lot of smarts and good luck with weather and other external factors to get a good crop of walnuts! 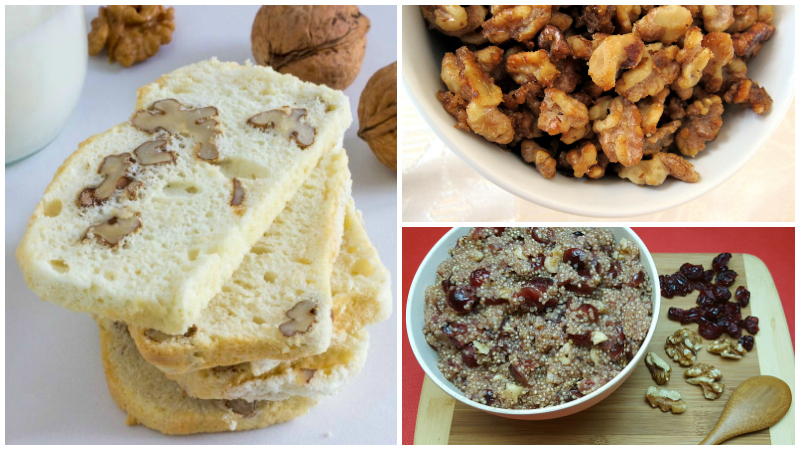 Do you have a favorite walnut recipe? 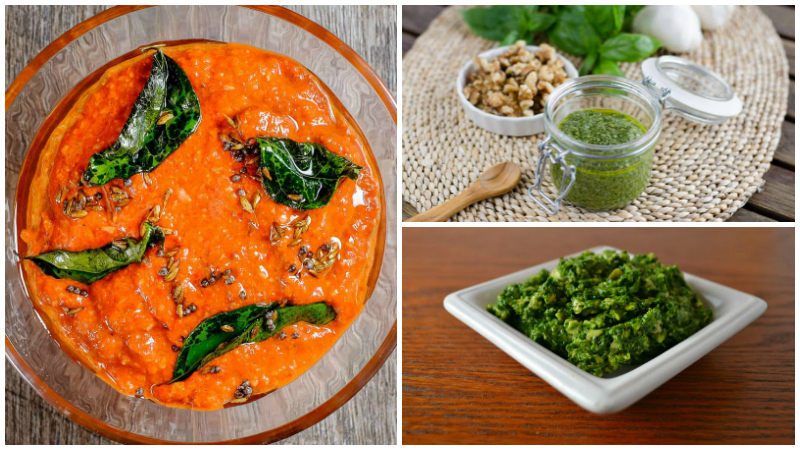 Check out the recipes below to enjoy walnuts in new and exciting ways.